Every year, factories generate endless pieces of clothing around the world. 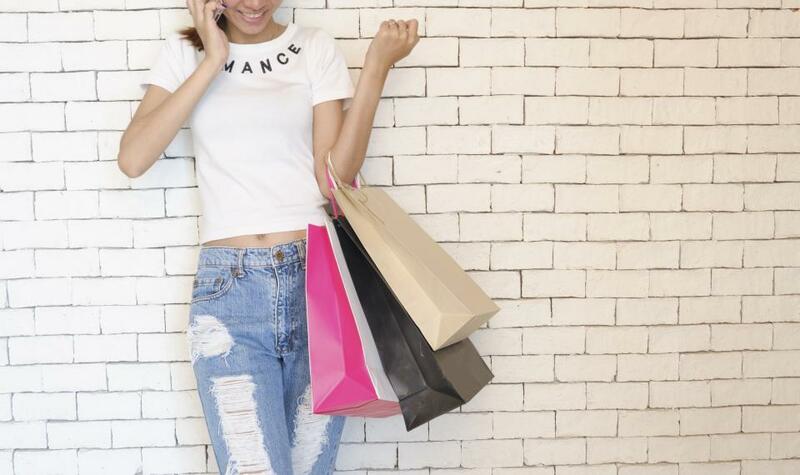 As fast fashion becomes the new norm, it seems like consumer buying habits will become increasingly more difficult to change as people grow conditioned to want new clothes continually. Rent the Runway (RTR) has become a well-known fashion website in the United States which has indirectly offered a solution to the overwhelming production of clothing. The New York based company allows users to rent clothes instead of buying new trendy pieces. While RTR’s initially became known for their designer clothing rental services, many people don’t realize is that their model has evolved to help decrease fast fashion waste. RTR helps people reduce the need to buy clothing while reusing what's already available. According to an environmental report by Savers, American individuals throw away about 81 pounds of clothes a year. As an alternative to buying, renting garments allows people to have a more sustainable approach to keeping up with fashion trends. Instead of 20 women buying 20 crop tops that they would only use once or twice, it's more sustainable for 20 women to borrow one crop top. So how does the renting system work? RTR allows people to take advantage of their pieces in three ways. RTR Reserve is the model most people associate with the company. This method enables customers to rent one item from over 450 options and hold onto it for 4 to 8 days. The pieces start at $30 which can be appealing to women who prefer not to spend hundreds of dollars on items such as formal dresses they may only use once or twice. The model helps keep cost, clutter, and waste to a minimum. Their sustainable membership program takes their reusable model a step further. They realized many women need flexible wardrobes for more than just weddings or galas. Women often need clothes for changing lifestyles like starting a new job, having a baby, then returning to the workforce. The Unlimited membership program was created to allow subscribers to have four items on rotation to exchange at any time for $159 a month. The company recently released a second membership option. While users can still only hold onto four pieces at a time, the new option allows them to swap out four items every month for four new ones. It’s also significantly cheaper coming in at $89 per month. Their eco-friendly practices go beyond just wanting to curb fast fashion. RTR keeps their clothes clean with their dry cleaning system on their premise which only uses non-hazardous solvents free of Perchloroethylene. They also use eco-friendly reusable garment bags and reusable packaging. RTR estimates to have saved more than 900 tons of shipping waste since 2015. The company has stores all over the country in major pedestrian cities such as Chicago, NYC, San Francisco, and Washington, DC. This gives customers the option to use public transportation or walk to RTR stores where they pick up, drop off or exchange clothes instead of shipping it and creating carbon emissions. So has this new approach of using clothes made a difference so far? As difficult as it can be to change customer behavior, 68% of RTR members have already reported to buying fewer clothes. In light of RTR’s success, maybe is it possible to help the environment and eliminate buyer's remorse all in one shopping trip.